Moderate moisture to wet. 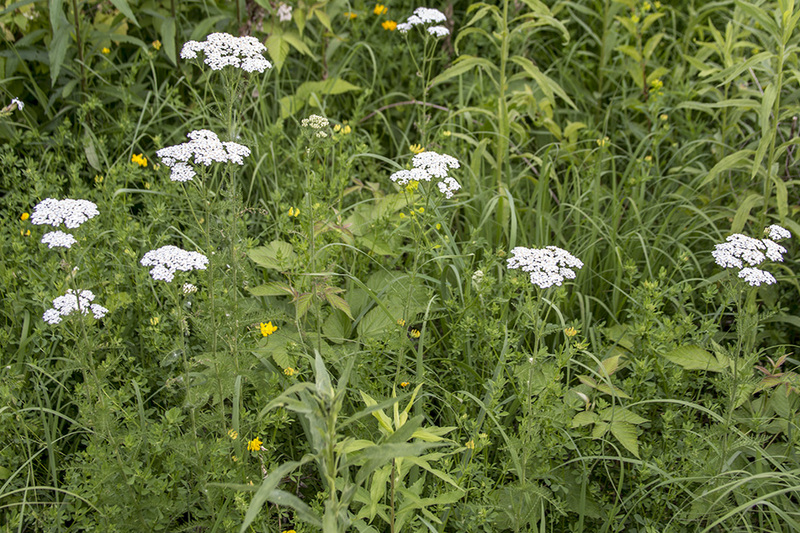 Prairies, forest openings, fields, roadsides, disturbed sites. Full sun. 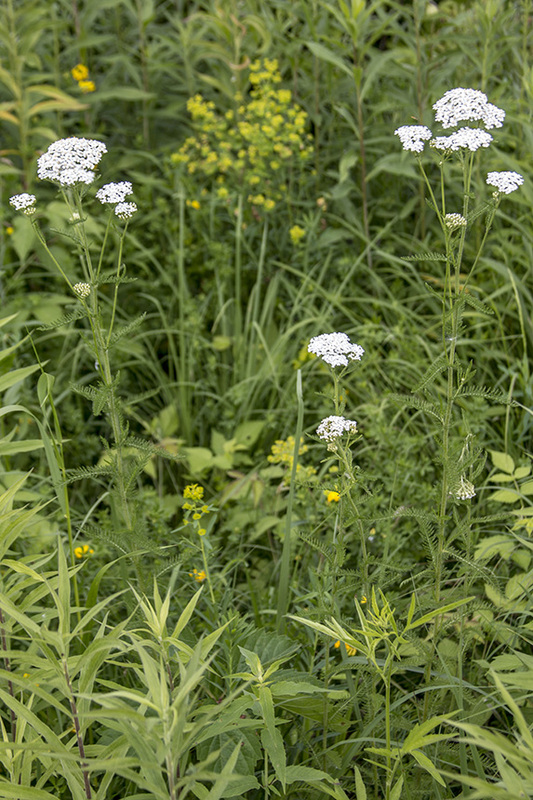 This is a 8″ to 32″ tall, erect, perennial forb that rises on usually a single stem, sometimes 2 to 4 stems, usually from rhizomes and fibrous roots. It often forms colonies. 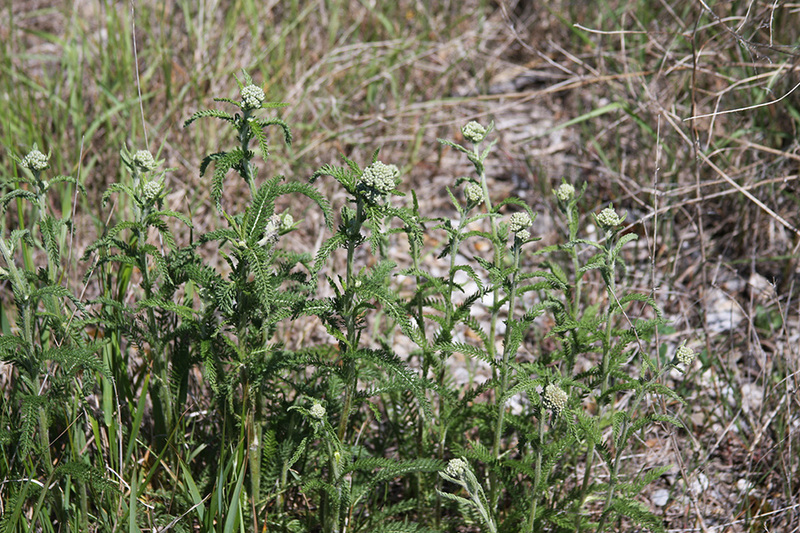 The stem is erect, unbranched below the inflorescence, green, and sparsely to densely covered with long, tangled, white, woolly hairs. It does not have short branches in the leaf axils. 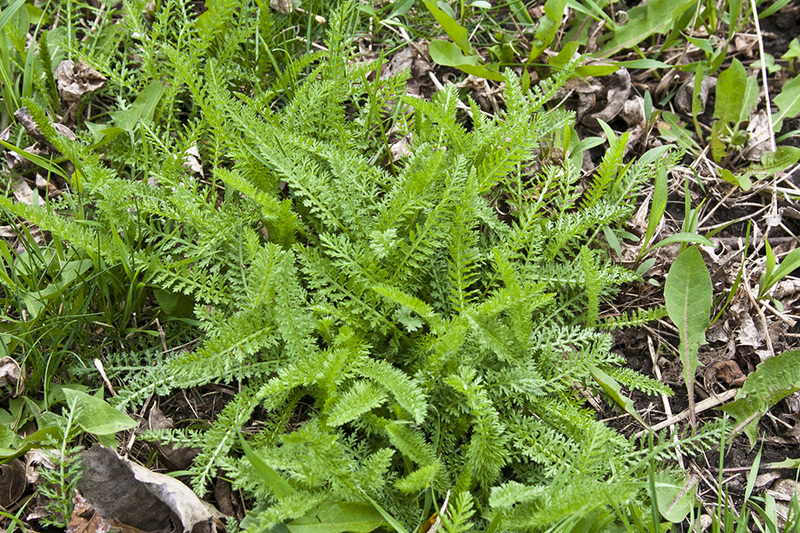 Basal leaves are fern-like and form a rosette. They are narrowly oblong to lance-shaped or inversely lance-shaped in outline, up to 13¾″ long, and up to 1⅜″ wide. The division on the compound leaves is variable, as is the orientation of the leaflets. The leaf blades are deeply divided into leaflets (pinnate), which may be again pinnately divided (bipinnate). The ultimate leaflets are lobed (pinnatifid), and the lobes may be again lobed (bipinnatifid). The ultimate lobes are linear to thread-like, 1 ⁄16″ to ⅛″ long, sometimes up to 3 ⁄16″ long, and sharply pointed at the tip. The overall appearance of the blade may be flat, the leaflets and lobes arrayed like a feather, or 3-dimensional, the leaflets and lobes arrayed like a bottle brush. The upper surface is hairless or sparsely to densely covered with long, tangled, woolly hairs. The upper surface is green or grayish-green and hairless or sparsely to moderately covered with woolly hairs. The lower surface is similar in color and moderately to densely covered with woolly hairs. 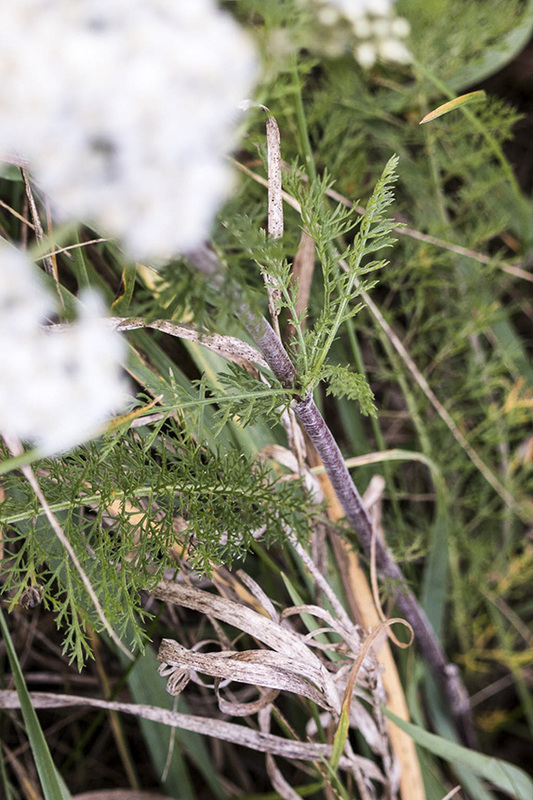 Stem leaves are alternate, 1⅜″ to 4¾″ long, 3 ⁄16″ to 1⅜″ wide, and otherwise similar to basal leaves. The leaves become gradually smaller as they ascend the stem. Only the lowermost stem leaves are stalked. When crushed, the stem and leaves emit an unpleasant odor. The inflorescence is flat-topped or dome-shaped, compound, coyrmb-like, branched cluster (panicle) of 10 to 100 or more flower heads at the end of the stem. The whorl of bracts at the base of the flower head (involucre) is ⅛″ to 3 ⁄16″long and narrowly cup-shaped to nearly cylinder-shaped. 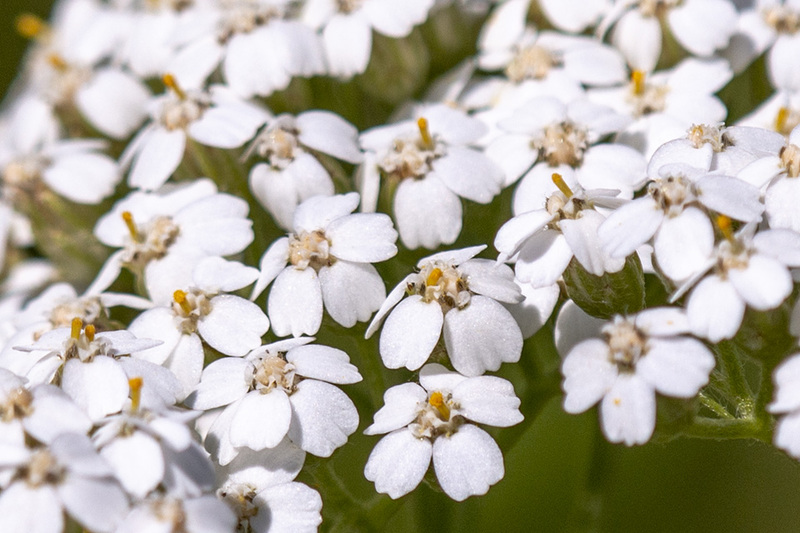 It is composed of 20 to 30 modified leaves (phyllaries) in more or less 3 overlapping series. 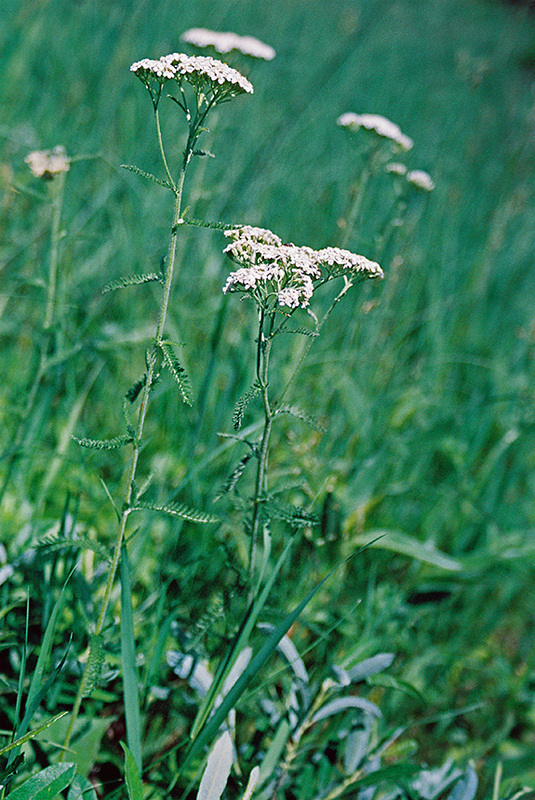 The phyllaries are green and egg-shaped to lance-shaped. 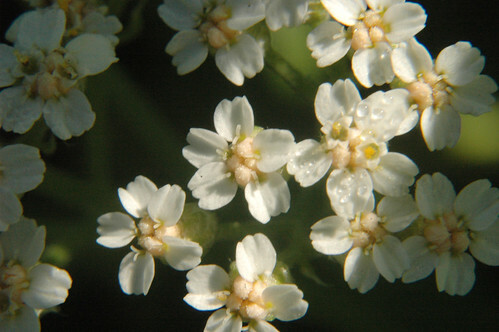 The outer phyllaries are shorter than the inner ones. They have dark green to yellowish midribs and are densely covered with woolly hairs. The margins may be green, light brown, or dark brown. The flower heads are ⅛″ to 3 ⁄16″in diameter. They usually have 5 ray florets but may have as few as 3 or as many as 8, and they have 10 to 20 disk florets. The ray florets are white, rarely pink. The expanded portion of the ray floret is 1 ⁄16″ to ⅛″ long and wide. The disk florets are white to grayish-white. The fruit is a dry, one-seeded, 1 ⁄32″ to 1 ⁄16″ long seed capsule (cypsela). There is no tuft of hairs attached to the end. Twice pinnate. Divided into leaflets that are further pinnately divided. 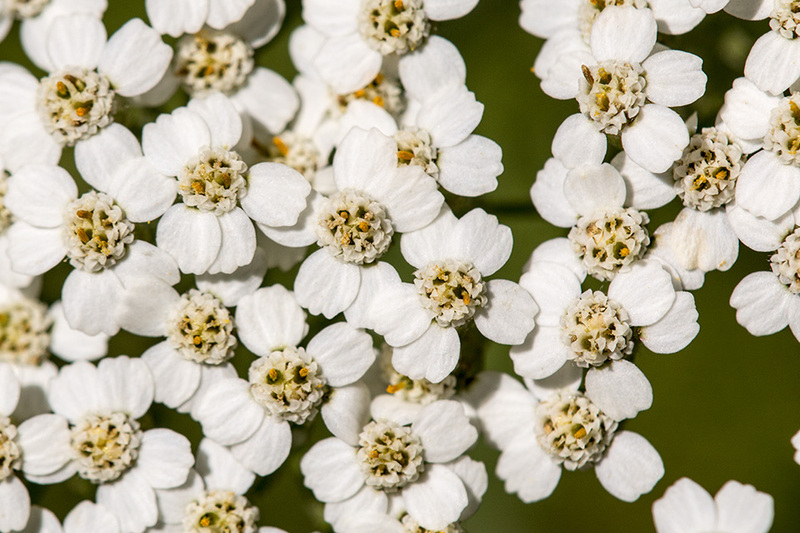 Yarrow (Achillea millefolium) is a flowering plant in the Sunflower (Asteraceae) family. It grows in temperate regions throughout North America and the Northern Hemisphere. 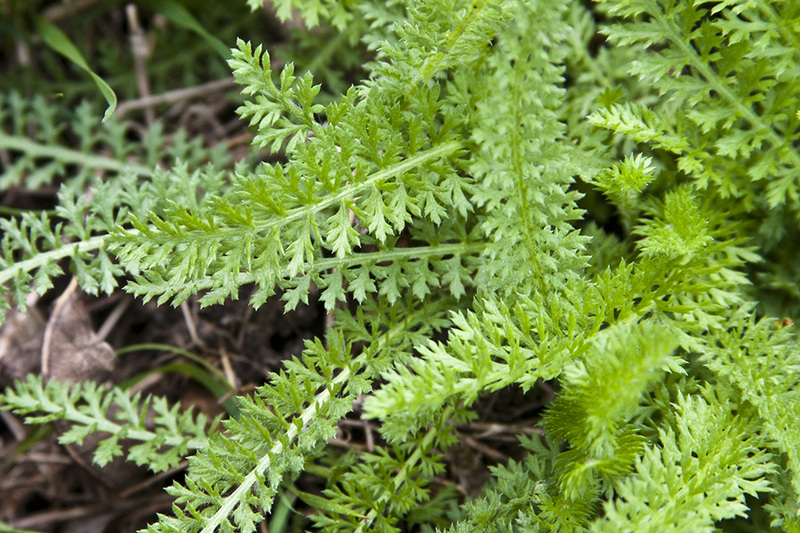 It is a very useful herb and throughout history various parts of the plant have been used to treat rheumatism, sore throats, toothaches, wounds and abrasions, high blood pressure, nosebleeds, colds, fevers, the flu, and variety of other ailments. 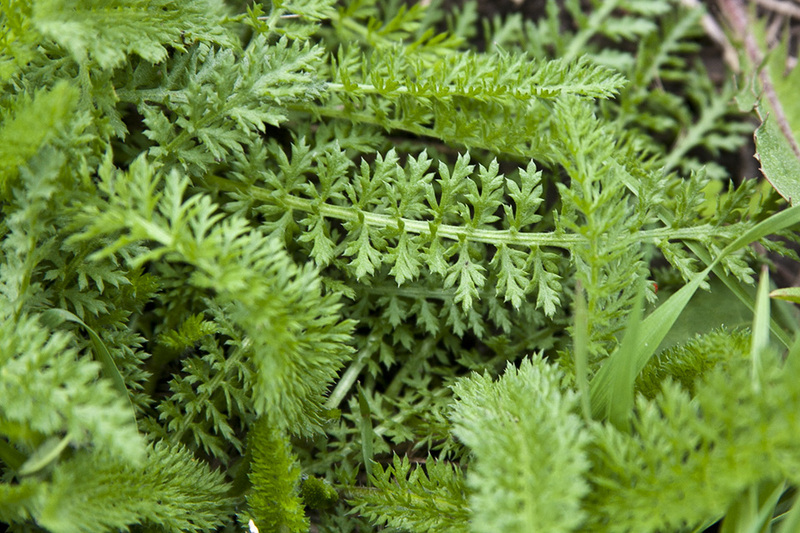 It also has been used used as an anti-inflammatory, diaphoretic, astringent, tonic, and stimulant. 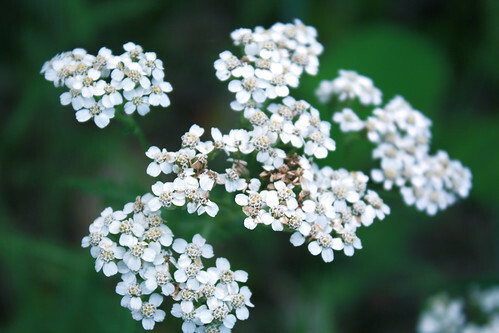 It contains the alkaloid achilleine, which can be used to suppress menstruation. The Secwepemc peoples put the leaves on fires to keep mosquitos away. 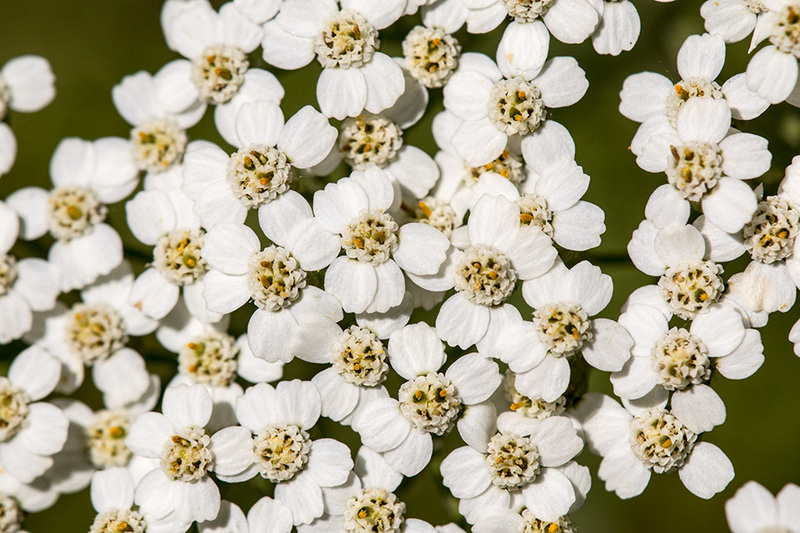 Despite all its uses, yarrow can cause severe allergic skin rashes and prolonged use can increase the skin's photosensitivity. 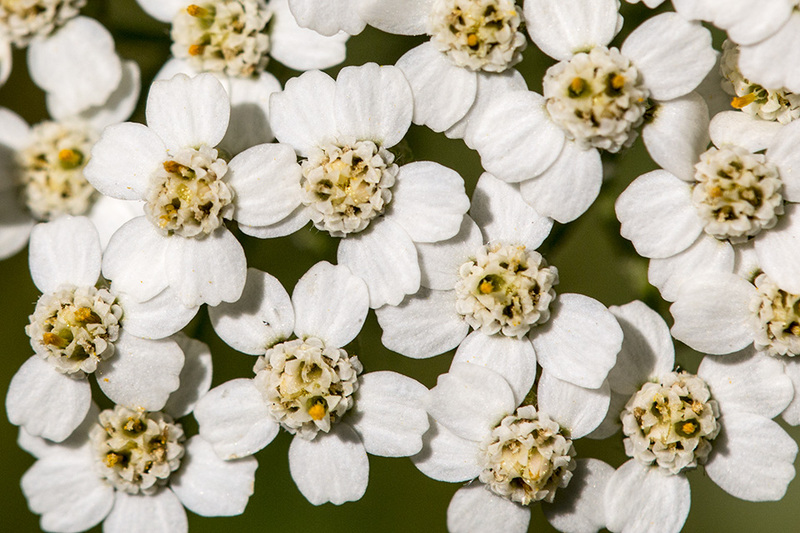 Other names for common yarrow include gordaldo, nosebleed plant, old man's pepper, devil's nettle, sanguinary, milfoil, soldier's woundwort, thousand-leaf, and thousand-seal. 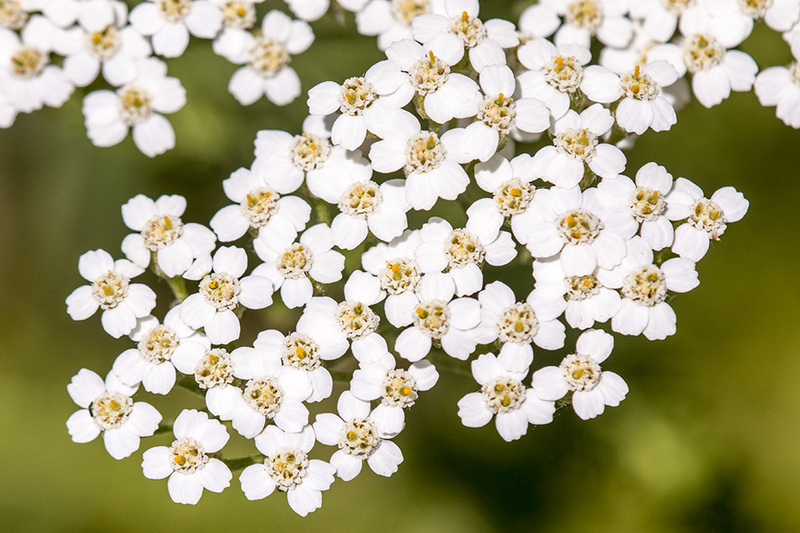 Achillea millefolium (yarrow or common yarrow) is a flowering plant in the family Asteraceae. 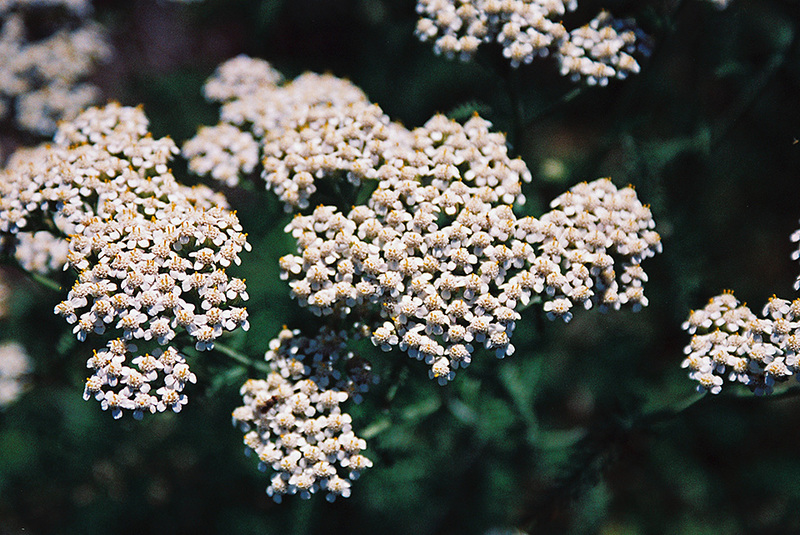 Duizendblad (Achillea Millefolium) is een plant uit de composietenfamilie (Asteraceae). 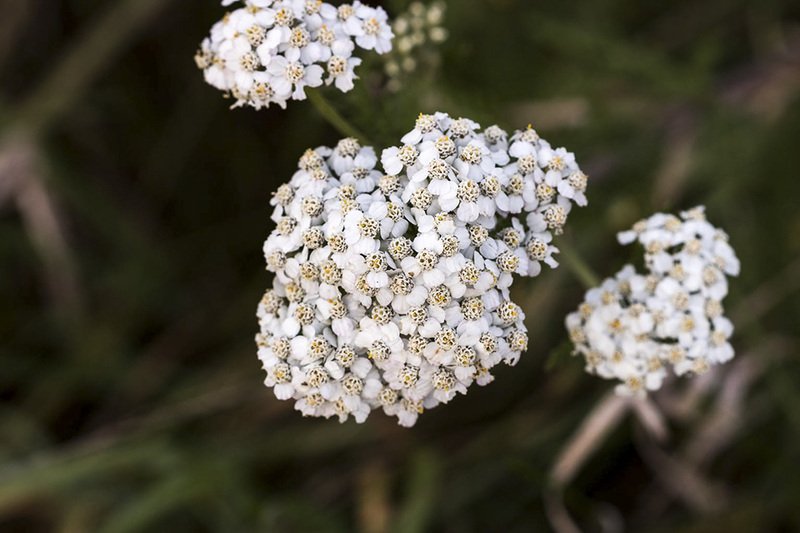 Yarrow - a weedlike plant often found growing in wastelands and roadsides. 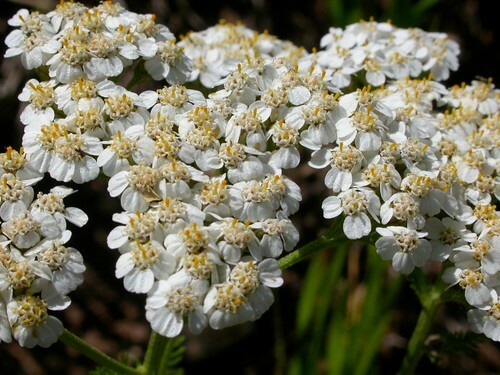 It has many leaves and clusters of white or pink flowers. 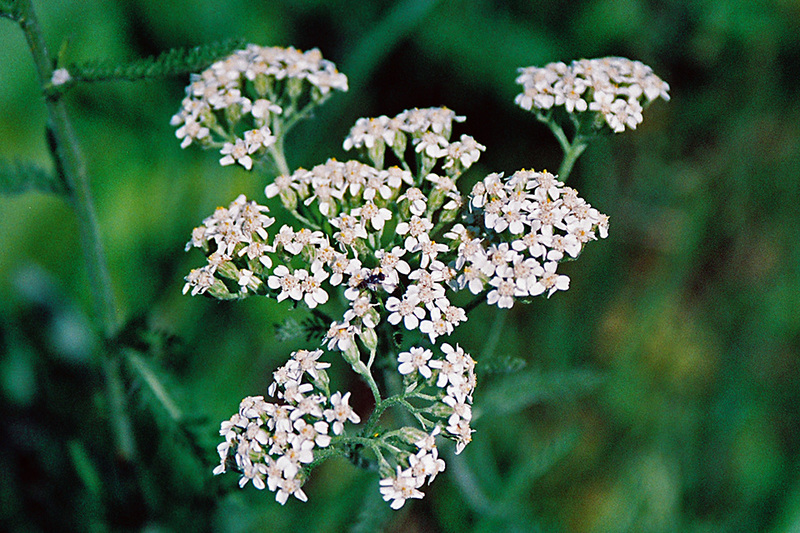 Many medicinal values in this plant were utilized by First Nations groups in the Pacific Northwest.